As the ESA's Philae lander clung to life on Comet 67P, it sent back a snippet of data that could make the entire 10-year journey worth it. As in, it could clue scientists in as to how early chemical ingredients arrived here on Earth. Slowly but surely, the mystery of our existence—and solar system—are unraveling before our eyes. Scientists say before Philae officially went dark, it beamed back evidence of organic molecules found on the space rock's icy cold surface—the kind of molecules that are essential for life. Organic molecules, which contain carbon and hydrogen, help form the fundamental building blocks for life on Earth. It's unclear what kind of molecules were discovered, but they could uncover how the earliest life forms appeared on Earth in the first place. If organic molecules did end up hitting Earth billions and billions of years ago, it's probably safe to assume you and I are sitting here today because of sheer dumb luck. Scientists said analysis and identification of the molecules are continuing. Philae used an instrument called Cosac, which is designed to "sniff" the atmosphere. Unfortunately, attempts to drill into Comet 67P's surface were unsuccessful. The initial plan was to land Philae in a spot that would have allowed its solar cells to recharge by soaking up sun for several hours. Instead, Philae bounced off Comet 67P's surface twice, eventually landing in a shadowy grave right by a towering cliffside. The lander only got about 60 hours of work in before going into hibernation. 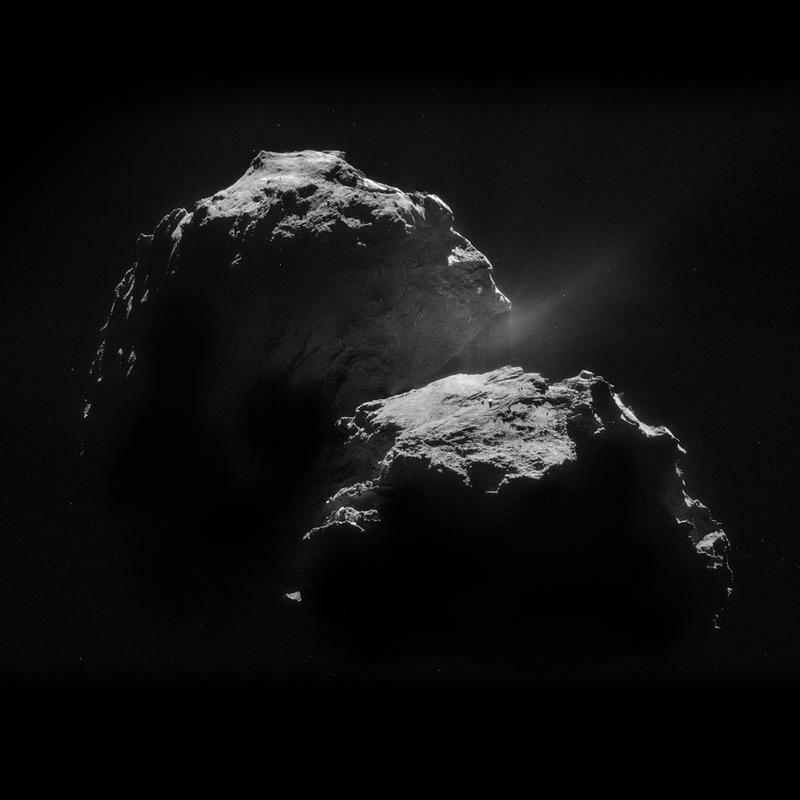 "There has long been indirect evidence of organic molecules on comets as carbon, hydrogen and oxygen atoms have been found in comet dust," said space scientist, Professor John Zarnecki. "It has not been possible to see if these are forming complex compounds before and if this is what has been found then it is a tremendous discovery." There is the slightest possibility Philae could spring back to life as it gets closer to the sun, but scientists aren't holding their breath. "We are going to have to make do with the data we have got," Zarnecki said. If indeed the organic molecules do provide insight as to how you and I are standing here today, the data might be more than enough.